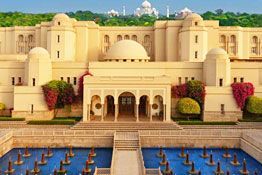 The land of misty mountains, green forests and historical monuments like the Taj Mahal, Uttar Pradesh is the perfect destination for tourists. From the palatial mansions to forts, the state has some remarkable architectural marvels that recall the glory and grandeur of yesteryears. 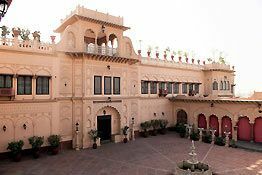 The magnificent Havelis and palaces which once belonged the erstwhile kings have now turned into the Heritage Hotels in Uttar Pradesh. From the Mughals to the British, the state had been ruled by a number of people. 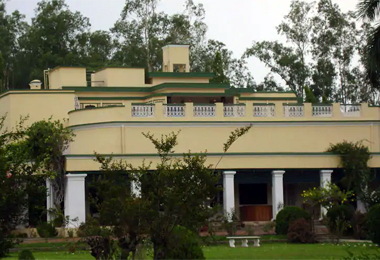 From the Mughal mansions to the Avadh rulers, Uttar Pradesh had always been in the news regarding historical associations. 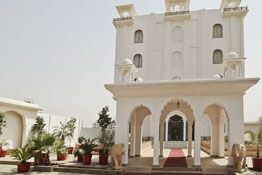 Enjoy the best of luxury and comfort wrapped in elegance and grandeur in the heritage hotels in Uttar Pradesh which reflect the royal lifestyle of the Rajputs. Before India got its independence, many of the kings and Maharajas had lost their royal titles and used to get a meager amount of annual pension in return for that. It was difficult for them to maintain their lavish lifestyle with such a small amount of money. So they refurbished their palatial mansions into heritage hotels. 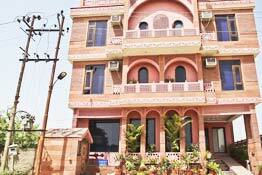 This gave rise to most of the Heritage Hotels in Uttar Pradesh. 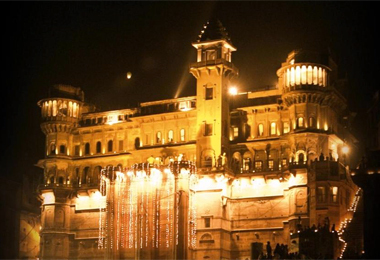 From the Mughals to the British, the state has preserved the remnants of the erstwhile glory of India in its relics. 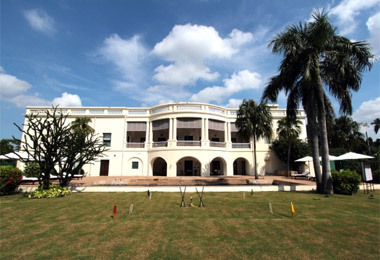 The heritage hotels in Uttar Pradesh depict the grandeur and splendor of the royal lifestyle. 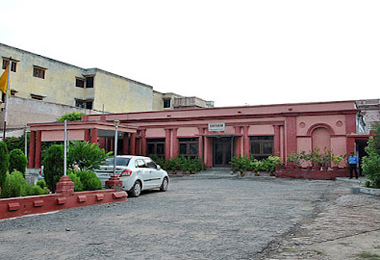 The heritage hotels of Uttar Pradesh have that medieval aura and charm that allures tourists from all over. 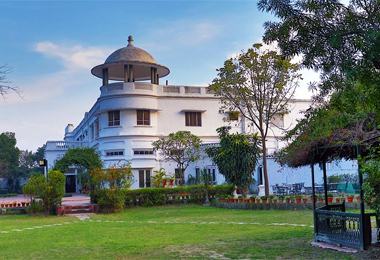 The royal heritage hotels in Uttar Pradesh are simply a class apart. 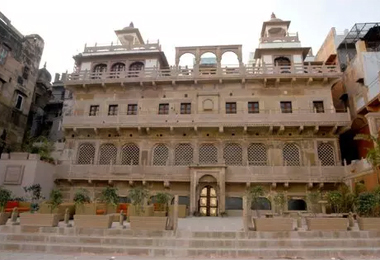 In the walls of these Havelis and palaces there lie the stories of heroism, sacrifice and romance. 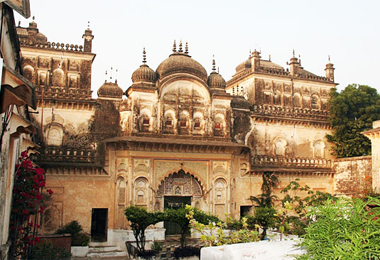 The homes of Indian kings, queens and knights, the heritage hotels in Uttar Pradesh stand as a testimony to the bygone eras. 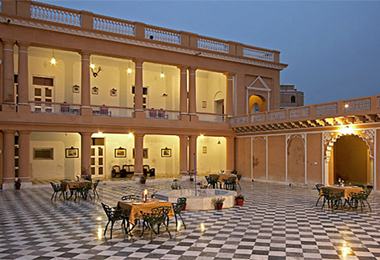 Relax in the well-furnished rooms with the ethnic interiors and the lavish antique furniture, chandeliers, royal photographs and anecdotes amidst royal luxury and comfort, the heritage hotels in Uttar Pradesh. 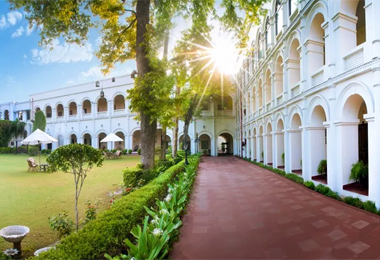 We present to you a complete list of hand-picked heritage hotels in Uttar Pradesh that will not only pamper you with world-class hospitality but also with all the comforts of the world.